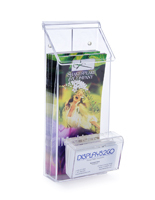 This brochure box is ideal for seasonal or short-term outdoor display with its flexible plastic construction and hinged lid to help keep papers protected from moisture. 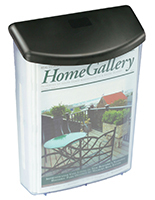 Made from recyclable materials, the flyer holder has an environmentally-friendly design at the fraction of the cost for similar items in the market, making this an affordable distribution tool for real estate agents, small business owners, and community organizations. 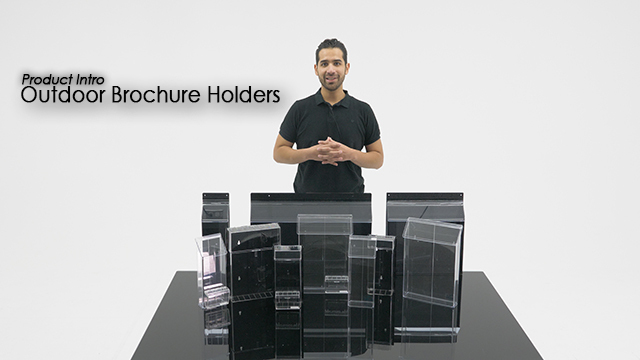 Each clear brochure box is resistant to shattering and many weather elements, making this perfect for companies to advertise after business hours or to promote seasonal events such as open houses and outdoor festivals. 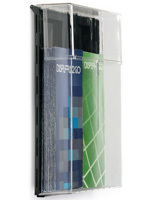 To help keep water out of the holder, the top cover overlaps the single pocket opening and automatically closes when released. 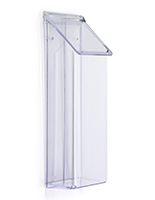 The plastic display includes zip ties and screws to mount the unit for short-term use, as well as a “Take One” decal in bright red to encourage distribution of real estate flyers or informational pamphlets. 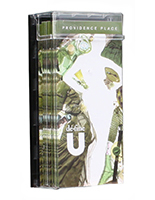 Environmentally friendly and offered at an affordable price, this box is the perfect solution for those looking for an easy way to engage their audience and promote events. 17.4" x 14.0" x 1.3"
10.3" x 11.8" x 1.1"
good, but a little flimsy. Thank you for the honest feedback, Carrie. If we can be of any assistance, please do not hesitate to reach out via phone, email, or chat. Thank you! This is the first and last time I will buy anything from Displays2go. 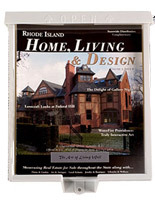 After receiving the displays ordered [Outdoor Literature Holder for Wall Mount with Lid, Fits 8.5 x 11 Magazines - Clear], I was stunned and disappointed to see that the displays are made from paper thin plastic and are not meant to hold anything meaningful or adequate for outdoor business/client use. Perhaps if you were selling your car and simply wanted the least noticeable and lightest possible display, this would work. 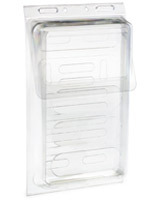 There is no actual lid, only a thin plastic top seal, which was not easy to use. When I contacted CS to complain about the quality and size of the product, I was advised I could return the items, but would have to pay the return shipping, which should run around $8.95. That shipping fee is 33% of the actual purchase price. They displays came in an over-sized box, wrapped in unnecessary bulky plastic bubble wrap I will not use this company again. Hi Stacy, Thank you for taking the time to send us a review. We are confident we can rectify this situation for you, so one of our customer care specialists will reach out promptly to assist. Thank you for letting us know! LOVE THESE Real Estate Flyer Boxes! Great price - 1/3 of what my local sign shop would charge me. Arrived intact due to good packing. 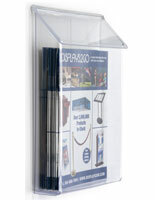 Will order from Displays2Go again! We're so glad to hear this, Sally! We can't wait to work with you again soon! We're so glad we could help, David! Thanks for shopping with us! Lightweight, easy to install anywhere, and exactly what we needed to distribute pamphlets outside of our studio after business hours. Just what we needed at a good price. Thanks for the great review and sending us a photo, Mona! We hope you shop with us again soon!